Independent Living is a model and movement that actively promotes the social paradigm that people with disabilities are the best experts regarding their own needs, have crucial and valuable perspectives to contribute, and should have equal opportunity to decide on all life decisions, including where to work, how to live, how to take part in their communities, and how to deal with services that significantly impact their daily lives and independence. This Independent Living model has two critical characteristics. First, the Independent Living model uses a social and environmental understanding of disability that originated in the Disability Rights Movement. This understanding states that though many people may have physical, intellectual, or mental attributes that deviate from the norm, disability is constructed in society by physical, programmatic, and attitudinal barriers. For instance, in various locations all over the world, people may have similar characteristics that are different from the norm; however, their social and physical environment—including the prevalence of social stigma, the make-up of their family, or the accessibility of their social environment—influences whether a person is perceived to have a disability. As a result of this understanding of the importance society and environment, the Independent Living Model promotes the acceptance of universal design; the inclusion of people with disabilities into all aspects of society and the elimination of any rules or norms that stand in the way of the human and civil rights of people with disabilities; and the elimination of attitudinal barriers based on a perceived difference. In other words, the Independent Living Model strives to eliminate discrimination by creating societies open, accessible, and welcoming to all people, regardless of label, diagnosis, stigma, or stereotype. Second, the Independent Living model is based upon consumer control. Consumers, in this case, people with any form of disability, as the best experts in their own needs, both drive and control the Independent Living model. Consumers can exercise independence by seeking (or not seeking, if they choose) the services of an advocacy organization, another center, or any resource of their choosing in order to make informed decisions about their interests. 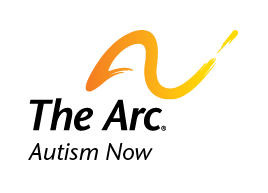 Find similar content about: Autism 101, Community Life, Housing.